Last week, guests from the Monroe, La., community and surrounding areas attended the Friends of Mercy Luncheon held at The Assembly West Monroe. Visitors enjoyed a lunch program and learned more about the mission and work of Mercy. Guests enjoyed a wonderful meal prepared by Rachel Hanes, who serves as Nutrition & Fitness Manager at the Monroe Mercy home. Those attending also heard from Mercy graduates Crystal and Megan. 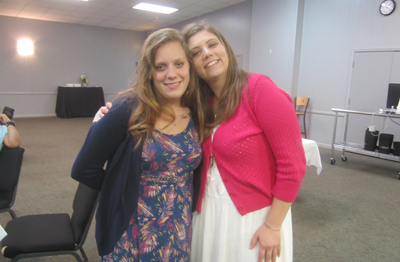 Both graduates shared how God powerfully transformed their lives through the Mercy program. Crystal lived a childhood of emotional, sexual, and physical abuse. Her school years were filled with bullying and very little acceptance. At Mercy, Crystal gained confidence in the realization of who God created her to be and found hope in a future that includes helping other women who have had similar issues. Megan remembers feelings of anxiety and depression from the time she was six years old. The subsequent losses of some very important people in her life led her to even deeper feelings of hopelessness. While at Mercy, Megan worked through those losses and found great freedom from hurts in her past. She now has such excitement about how God plans to use her to work with children. 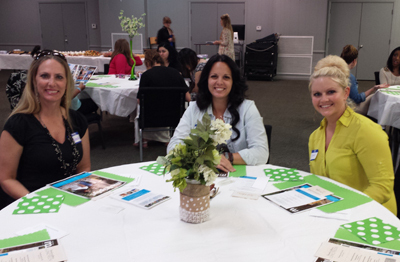 At the close of the luncheon, guests were encouraged to attend the upcoming Freedom Experience Conference at Christ Church in West Monroe on June 17-18. They were also introduced to Mercy’s Ditch the Baggage resources, including a book and study guide authored by Mercy’s Founder and President Nancy Alcorn. Many guests were able to stop by the Monroe Mercy home for a tour led by current Monroe Mercy residents.